A unique and thoughtful way to commemorate the birth of a new baby! 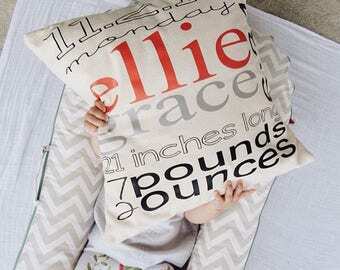 Personalized information includes the child's first and middle name, and date of birth. Each pillow cover is handmade. 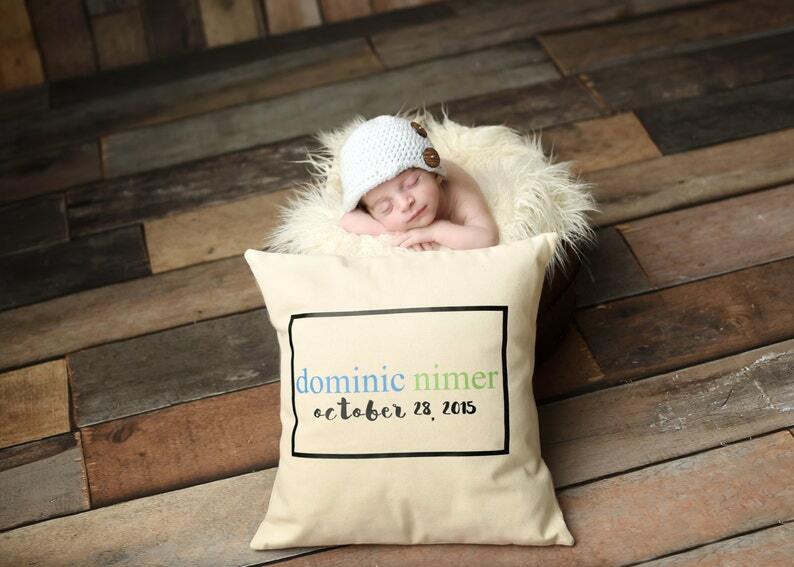 Birth details are printed and adhered by thermal transfer onto a heavy natural colored muslin. The pillow cover features a zipper closure at the base for easy removal. You may choose one color for the first name and one color for the middle name. The date and box around the information will be in black. I have bought this several times and each recipient has been so pleased! Great quality. Perfect way to welcome a new baby!